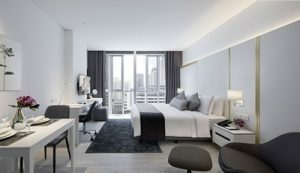 CapitaLand’s wholly-owned serviced residence business unit, The Ascott Limited in Thailand is proud to introduce the brand-new Somerset Maison Asoke Bangkok, which will officially welcome its first guest on 28th September 2018. 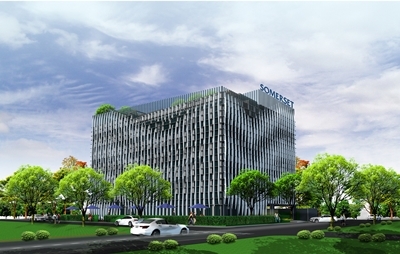 Somerset Maison Asoke Bangkok features 125 units of elegantly-designed Studio and One-Bedroom serviced apartments catering to both leisure and business travellers. This addition strengthens Ascott’s position as one of the largest international serviced residence owner-operator in Thailand with more than 4,400 units across 21 properties in Bangkok, Sri Racha and Pattaya (including pipeline projects). 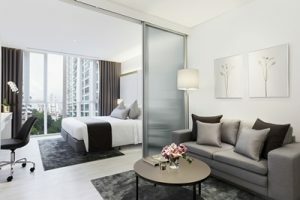 Conveniently located at Asoke, the heart of Sukhumvit’s central business district and boasting unmatched connectivity with the Asoke BTS skytrain and Sukhumvit MRT stations just steps away, the property is complemented by a vibrant neighbourhood with a wide range of residential as well as lifestyle amenities, including cafes, bars, shops, supermarkets and shopping malls like Terminal 21. 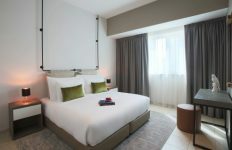 “Somerset Maison Asoke Bangkok offers a distinctive accommodation experience in a warm and relaxing environment that will make our guests feel right at home. Each residence is beautifully fitted with all the necessary amenities that makes it a home and yet features state-of-the-art technology that our guests have come to expect of Somerset’s international-class quality accommodation. On-site facilities include a fully-equipped gym, a heated swimming pool, sky garden, and a restaurant that will ensure the daily needs of the guests are fully met. Most importantly, we are confident that the warm and heartfelt service from our colleagues at Somerset Maison Asoke Bangkok will be the difference in ensuring that our guests have a truly comfortable and memorial stay with us.”Be the first to discover a sophisticated contemporary lifestyle at our brand-new Somerset Maison Asoke and take advantage of the attractive opening rates, starting from THB 2,299++ for bookings made from now until 30th November 2018 and for stays from 28th September to 30th November 2018.